Posted 10/18/2018 9:30am by Cherry Valley Organics. Beets might be humble-looking on the outside, but on the inside, they're packed with flavor and nutrition. Consuming a beet root infuses your body with potassium, manganese, folic acid, and lots of fiber. 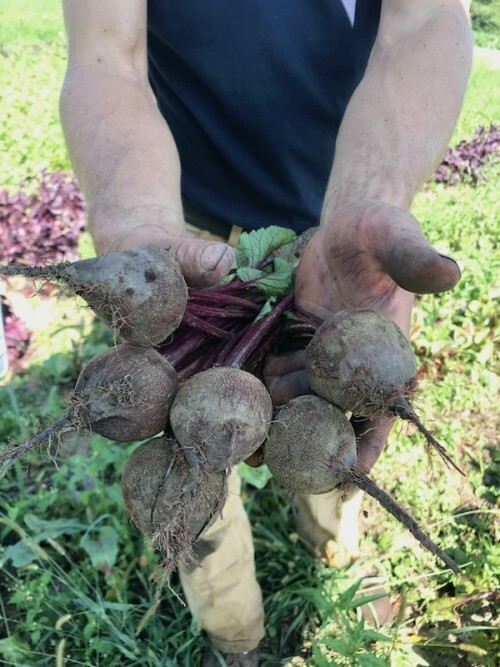 And if you enjoy the greens, you're boosting your levels of calcium, iron, and Vitamins A and C. Beets are one of our favorite crops to grow here at the farm because they're cold- and heat-tolerant, easy to grow using organic techniques, and a favorite of our customers. Like carrots and Swiss chard, beets are biennial. This means the first year of growth, the plant produces only a root and greens. The second year of growth, they flower and set seeds, but only if the roots manage to overwinter in the field or garden. If you garden in a milder climate, the plants will easily survive the winter. 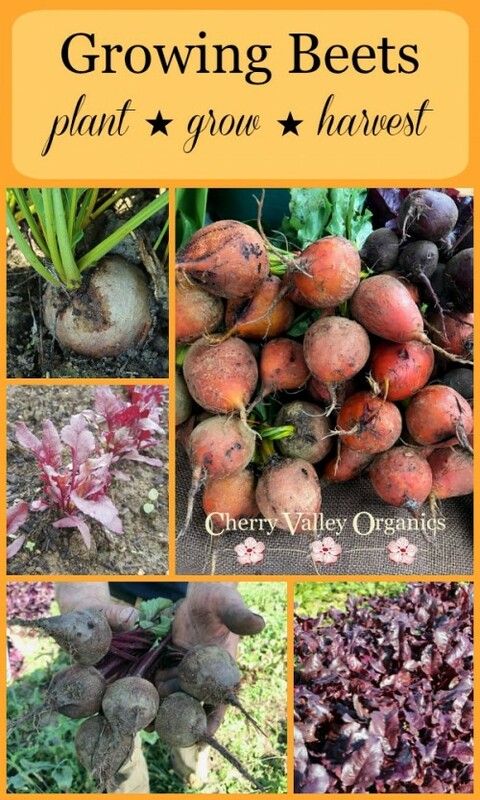 But, here in Pennsylvania, in order to overwinter beets, you have to protect the roots with a thick layer of mulch, a cold frame, or a polytunnel. Because of this, in cold regions like ours, beets are typically grown as an annual crop where they're planted and harvested within the same season. Beets are a multi-purpose crop. Not only are the roots delicious roasted, sautéed, and baked, but the greens are super flavorful when stir fried, braised, or sautéed with a bit of garlic and olive oil. One of the most unique features of beets is that almost all varieties have multigerm seeds. This means that each seed consists of a grouping of embryos, rather than just one. The result is multiple plants emerging from each seed, making thinning absolutely necessary if you want to grow large roots. 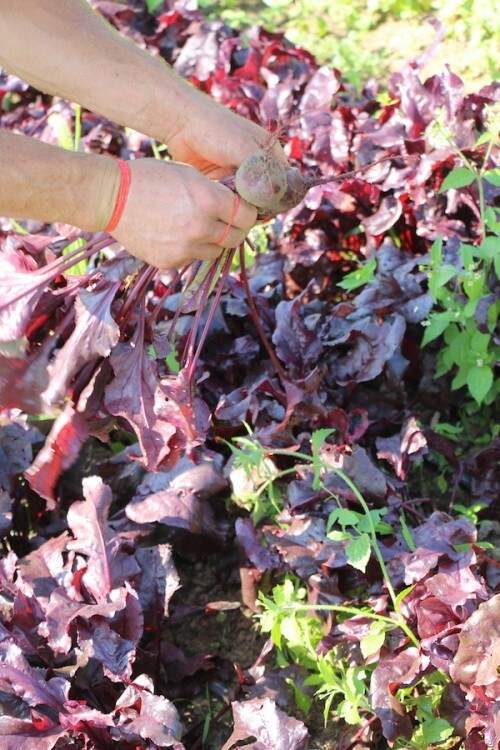 'Red Ace': This old-fashioned, deep red beet has long been a favorite of farmers, gardeners, and cooks. 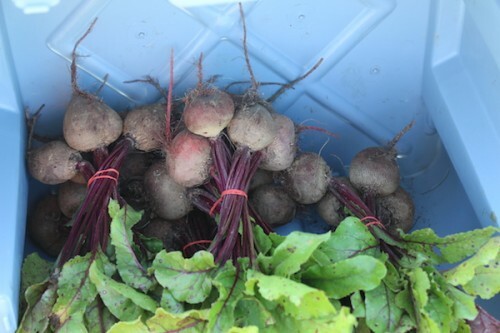 The roots have a classic beet flavor that sweetens even more when the plants have been exposed to frosts. With green tops and high germination rates, 'Red Ace' has been a staple on our farm for many seasons. 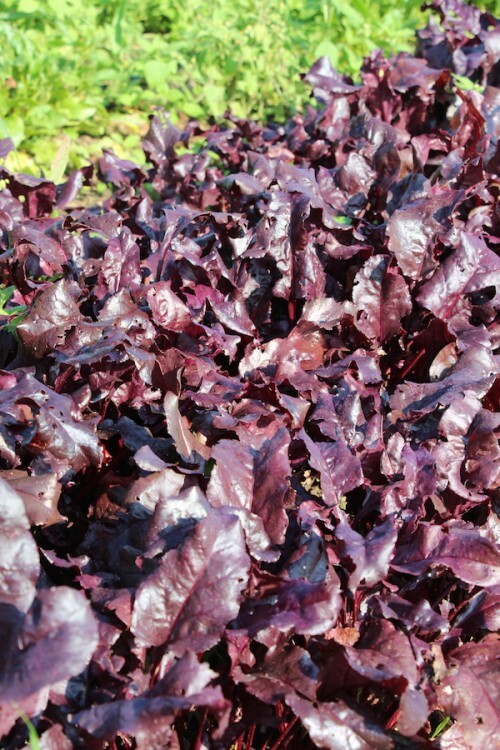 'Bull's Blood': If you enjoy eating beautiful and flavorful beet greens, then this is the variety for you! Yes, the fleshy, red roots are super-flavorful, but the greens steal the culinary show on this variety. Rather than being green, the foliage on 'Bull's Blood' is a crimson red, making it as beautiful on the plate as it is in the garden. 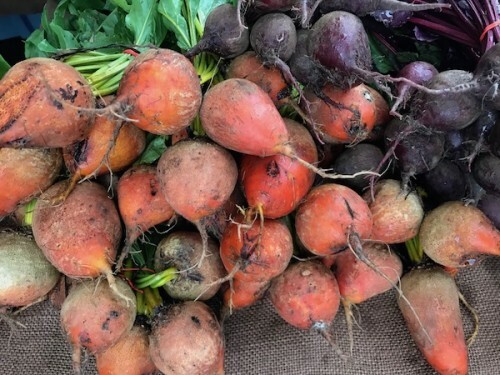 'Touchstone Gold': If you've spied a 'Touchstone Gold' beet at our farm stand or in your box of farm share goodies, then you know what a beautiful beet this is. Deep orange skin surrounds golden yellow flesh that retains its bright color when cooked. 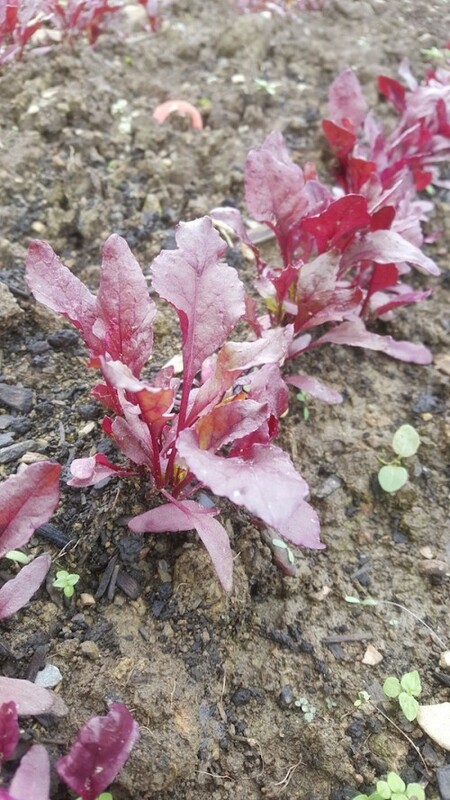 The sweet flavor of this variety is a real standout, and since the roots don't "bleed" red when they're cooked, 'Touchstone Gold' is great for use in stir fries and steamed or roasted veggie mixes. 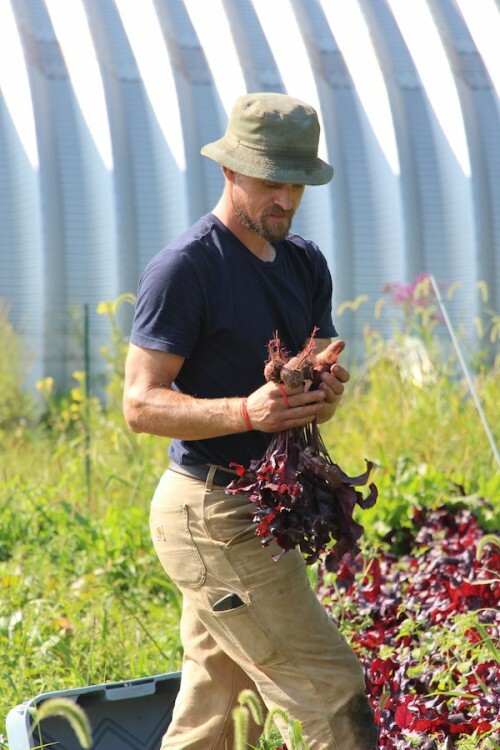 Here at the farm, Tim plants beets by direct sowing the seeds into the field. While you can start beet seeds indoors under grow lights in the late winter and then transplant the young seedlings out into the garden when spring arrives, we find it's far easier to plant the seeds right out into the field. The seeds are sown about one-half inch deep and three inches apart in early spring. Beets are very cold tolerant, so they're typically one of the first crops to be planted each spring. Then, we continue to sow more seeds every four weeks throughout the growing season. This enables us to have a continuous harvest of roots and greens for our customers. Once the seedlings are an inch or two tall, they're thinned by hand. We select the largest plant in each cluster and pull the weaker ones out to give the remaining plants plenty of room to grow. Beet rows can be mulched with straw or shredded leaves to limit competition from weeds and keep the soil moisture levels even, but this isn't necessary as long as you're willing to weed and water when it's necessary. As mentioned earlier, beets produce multiple harvests. Beet greens can be enjoyed as baby greens raw in salad mixes when they're just an inch or two high. Mature beet greens can be cut or pinched from the roots for cooking. You can harvest all the greens from a root, or just take the older leaves and allow the younger ones to continue to grow. Beet roots left in the ground will continue to produce new leaves all season long. 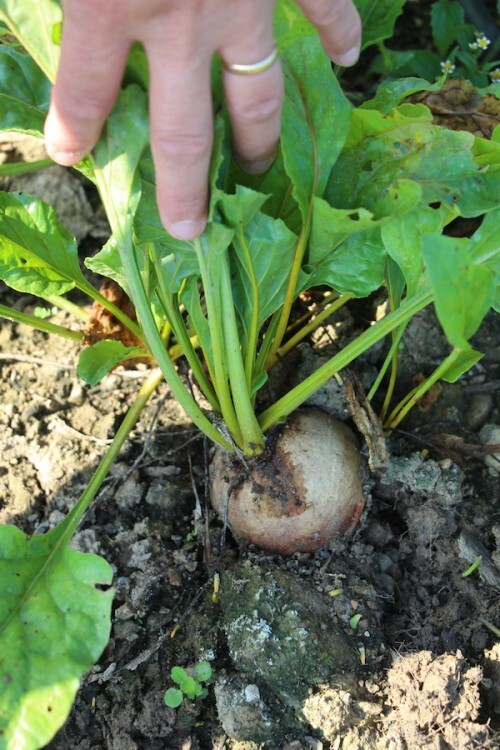 Roots can be picked young and prepared as gourmet baby beets when they reach the size of a ping pong ball. They'll be more tender and will cook faster, too. Mature roots are best harvested when they're the size of a tennis ball. Letting them grow too large could mean pithy, fibrous roots that aren't as sweet. But, if you plan to pickle your beets, any size will do. For the longest shelf-life, store unwashed beet roots in a plastic bag in the fridge after cutting of the tops. Leave an inch of the stems attached to keep the root from "bleeding" out moisture in storage. You can also store beets in a cold cellar that's between 45-32 degrees F. For this method, pack the roots with their greens removed in layers of slightly damp sand in a plastic or wooden crate. If you grow beets in your garden, you can also store the roots right in the ground by mulching your beet-growing bed with 5 inches of straw. When you're ready to harvest, simply pull back the straw and pull out however many roots you'd like. Then, put the mulch back in place. With this method, you'll have beets to enjoy throughout most of the winter.